The men and women of the First Crusade set out from Europe to conquer the Holy Land in 1096; the last citizens of the Crusader kingdoms and principalities, which they founded there, were drive into the sea by the armies of Islam in 1291. For just under two hundred years the armed struggle for control of the holy places of the Christian faith, many of which were also sacred to the Moslems, involved men from every nation in Europe as well as citizens of the Byzantine Empire, Armenians, Jews, Turks, Arabs, Egyptians, and Mongols, let alone the native populations of the countries of the Middle Easter over whose lands the various armies fought each other. Old empires fell into decay, new ones rose over their ruins, and the way of life of everyone involved in the vast struggle was slowly but inexorably changed. It was truly a war of the worlds; the world of western Christendom, which was emerging painfully from the barbarism of the Dark Ages, came into collision with the immensely civilised world of Byzantium, which had passed its political prime; and both were opposed by the world of Islam in which Arabs, whose culture was built on Hellenistic and Roman foundations, were at variance with Turks from the steppes of Asia with no pretensions at first to civilised manners or standards. These two momentous centuries were also notable for internal religious divisions on both the Christian and the Moslem sides, for as the years passed the Christian participants in the events of the time were divided into two bitterly hostile camps; western Catholics distrusted and despised the Byzantine Christians of the Orthodox Church, and were heartily detested in return by their Greek-speaking brothers and sisters in Christ; while the world of Islam was also split between Sunnites, who acknowledged the authority of the Abbasid Caliphs in Baghdad, and Shi'ites, who gave their allegiance to the Fatimid Caliphs in Cairo. All this sounds immensely complicated, and indeed it was; so much so that it wold be impossible to write a detailed history of it all in one comparatively small volume. But there are many scholarly, comprehensive, and detailed histories of the period, foremost among them being the great three volume History of the Crusades by Sir Steven Runciman, and I can see no point in trying to write another. However, apart from an excellent and moderately concise history by Hans Eberhard Mayer, which has been translated from the German, I know of no good short history in English. It has been my aim to tell the story of the Crusades as simply and as graphically as possible in the hope that such a work may prove of interest to the general reader, who has neither the time nor perhaps the taste for weightier and more scholarly studies. The source of material is abundant and readily available, and my greatest difficulty has been to decide what to leave out; but I have had to be ruthless or I should have found myself writing too long a book. 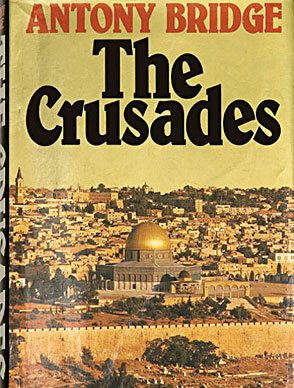 I have also had the resist the temptation to analyse the zeitgeist of the Crusades. Were they the last barbarian invasion of the civilised Graeco-Roman world? Or the first movements in the vast expansion of western Europe, which culminated in the nineteenth century? Or were they economically determined, as orthodox Marxists would doubtless assert? Perhaps they were all these things, but I have not tried to decide; such speculations lie outside the scope of this book. Only one thing remains to be said; if the general reader is horrified by the brutality of the times, and if the Christian reader is appalled by what some of the Christians of the day did in the name of Christ, perhaps the horror of the one and the dismay of the other are signs that, despite the wars and barbarities of our own sombre age, people have been changed a little by Christian faith and teaching over the centuries: not changed enough of course, but at least changed a little bit. The extraordinary story of the Crusades - that devastating conflict of two worlds - as told here in one magnificently illustrated, totally compelling volume. Here is the brutal drama - yet occasional romance - of two hundred years of struggle for the Holy Land. Here is the bloody tale of Turk and Greek, Arab and Assassin, Egyptian and Frank, Mongol and Mameluk slaughtering each other for the love of God. Here are such legendary heroes as Richard the Lion Heart, Saladin and Barbarossa and such terrifying monsters as Jenghiz Khan. here are the Crusaders in their kingdoms of Outremer relishing the luxuries of their enemies - carpets, baths, spices, oranges - and building the finest castles in the world. Tony Bridge tells a tale of one of history's great adventures which is more engrossing than any epic novel.